“One must desire the ultimate essence even if it is ‘contaminated’” Cy Twombly proclaimed in a rare published statement; in 1957. The year is significant, for he had just begun a twenty-year leave from sculpture to focus on painting. This shift is mirrored in the aphorism itself, as it slides from “essence,” the territory of Twombly’s sculpture, to “contamination,” which has more to do with his painting. 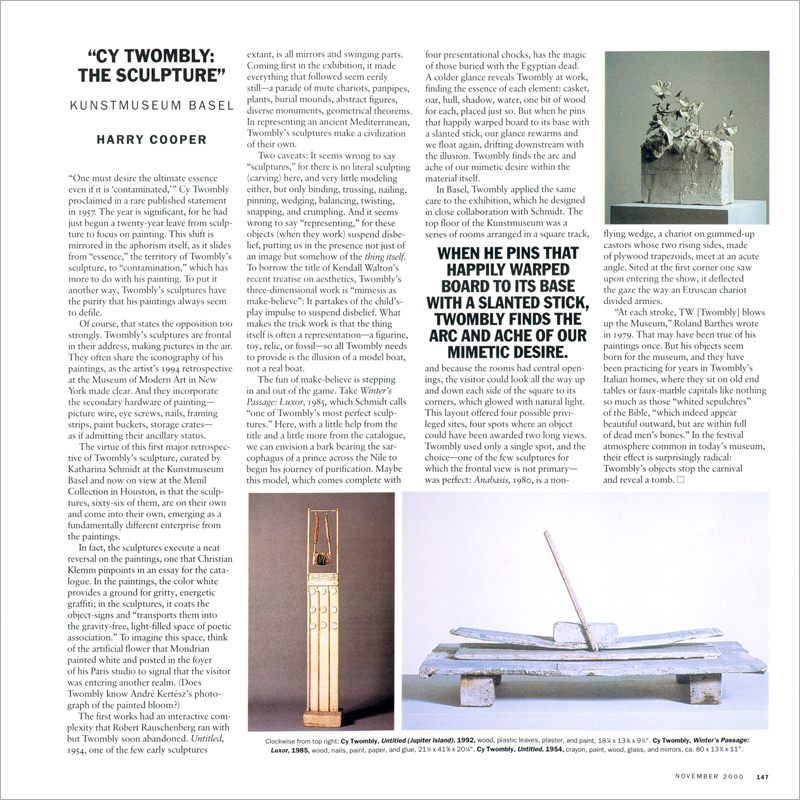 To put it another way, Twombly’s sculptures have the purity that his paintings always seem to defile.